Loneliness can have a devastating impact on a person’s health and quality of life. Although loneliness and social isolation can affect people of all ages, it is especially common in later life, with research supported by the AARP Foundation showing that almost half (48%) of older people in the U.S experience at least some degree of loneliness. Why is this the case, and what should you do if you believe someone is at risk of loneliness? Loneliness is best defined as the negative feelings, stress and sadness caused by a sense of lacking desired affection or social interaction with other people. It is important to say that being “alone” is not the same as being “lonely.” If you are comfortable with it, there is absolutely nothing wrong with spending time alone and enjoying your own company! In addition, it is possible to be surrounded by lots of people and still feel lonely. Loneliness is not necessarily about how much contact someone has with other people, but rather the quality of those relationships. Why are older people more likely to be lonely? • Retirement – Leaving the workplace can cause feelings of isolation and a sense of lacking in purpose. They may miss daily interaction with work colleagues and/or the routine of going out to work. • Poor health or mobility – Illness or mobility issues can make it a lot more problematic to get out and about. In some cases, it may be difficult or even impossible to leave the house. • Bereavement – It can be extremely difficult to adapt to life following the bereavement of a partner or close family member, leading to feelings of loneliness, isolation and despair. • Relative going into a home – Being left alone at home can cause intense feelings of loneliness and sadness. • Location – Loneliness may be caused by living far away from friends or relatives. This may be compounded by a lack of mobility or not having easy access to transport. • Financial pressures – A lack of money can make it more difficult to travel or engage in social activities, which in turn increases their isolation and contributed to feelings of sadness or hopelessness. In addition, people who are lonely often find it difficult to reach out for help – and this only makes things worse. There is still some stigma surrounding loneliness, with many older people feeling like they have too much pride to ask for help. Whatever the cause, loneliness is a serious problem that can lead to many major health problems including depression, alcoholism and even malnutrition. According to recent research, loneliness can be as bad for our health as smoking 15 cigarettes a day! Depression is a debilitating mental health issue that is closely linked with loneliness and isolation. Feeling lonely is often accompanied by a sense of hopelessness and sadness that can soon turn into chronic depression. In addition, many people then start to withdraw from activities they previously enjoyed, which only increases their loneliness. Whether someone’s depression is caused by a specific event like a bereavement or the result of feelings built up over time, it is vital for them to get the right help and support to overcome their problems and start to feel more like themselves. If you feel worried that a relative or friend is showing signs of being depressed, now is the time to encourage them to get help from a doctor. In addition, organisations such as Mental Health America and the Anxiety and Depression Association of America can provide help, advice and support to anyone who is struggling. When depression strikes, the worse thing they can do is to bottle things up and keep it to themselves. Many people suffering from loneliness or depression turn to alcohol in an attempt to escape from their feelings. Unfortunately, this usually makes things a whole lot worse – and it is surprising how quickly things can begin to spiral out of control! If you are concerned that a friend or family member is drinking too much, you should talk to them about it and, if you feel there is a problem, encourage them to speak to their doctor. Many people will find this a difficult subject to talk about, so try to approach it with sensitivity and empathy. Charities such as The National Council on Alcoholism and Drug Dependence can provide additional help and support. People experiencing loneliness and depression may have a reduced appetite, which in turn means they might not eat as much as they should. In addition, those living on their own might skip meals because they feel like there is little point in cooking for one, or they might have mobility issues that make access to food more difficult. If you are worried that someone might not be eating well enough, the first step is to talk to them about it. If you can, try to assist them– perhaps by helping them to plan their own meals, arranging for them to be taken to a grocery store on a regular basis, or by teaching them how to order food online. Many people don’t like to admit that they are feeling lonely and may try to hide it from other people by pretending that everything is OK. On the other hand, loneliness is also something that can creep up on us over time – so someone might be feeling down, but they might not necessarily attribute it to loneliness. • Verbal signs – such as telling you they feel lonely or expressing a desire to see people more often. • Behavioral changes – like withdrawing from activities they usually enjoy or not wanting to socialize. • Unexplained aches, pains or illnesses. • Appearing sad or miserable. • Wanting extra physical contact – like hugging you for longer when they see you. • Unexplained weight loss or weight gain. • Increased use of alcohol. • Spending time with someone you feel may be untrustworthy. Remember: Scammers often prey on the old and vulnerable. 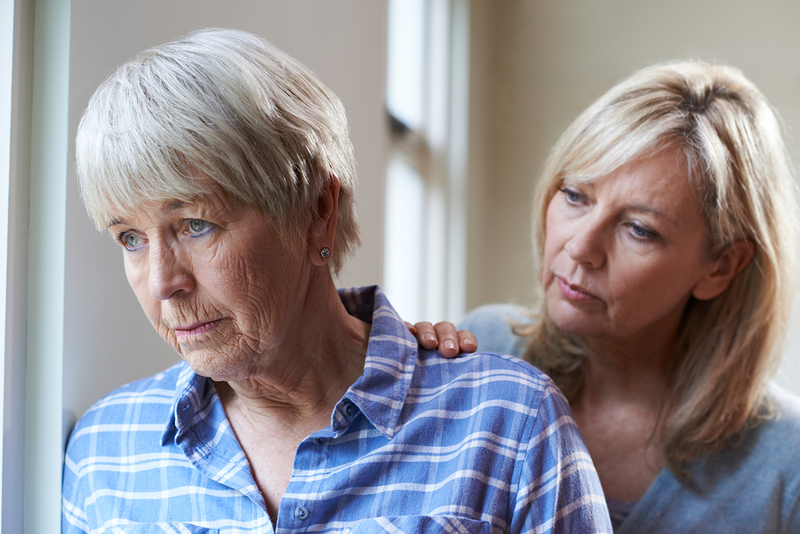 While a growing number of older adults experience loneliness and isolation, there are many things that friends and family members can do to help. If you notice that someone is displaying signs of being lonely, it is important to step in and do what you can to help them. In many cases, it is the little things that can make all the difference – like popping in to talk to them or arranging to take them to the grocery store. You can also do things to help prevent someone from becoming lonely in the first place. For example, you may encourage them to get out and participate in social activities. Joining clubs and societies is a great way for people to meet new friends and can help ensure that they maintain a good social life. In addition, charities such as Friend to Friend America provide vital help and support to those suffering from loneliness in older age. Jorden Immanuel is a social psychologist and certified NLP practitioner from the Netherlands. He is also the founder of www.adrenalfatiguecoach.com – a specialized informative website dedicated to stress.